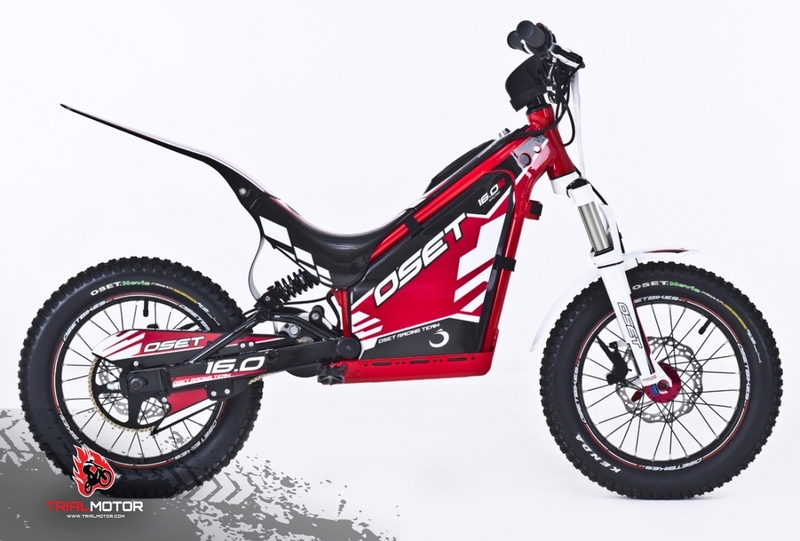 Trialmotor is an official dealer of OSET bikes! We can only sell them in PORTUGAL. Any requests from other countries will be directed to the nearest OSET dealer! Wheels - 16" alloy rims/hubs with OSET Kenda 2.7" rear & 2.5" front tires. Suspension - Front telescopic, air/spring adjustable. Rear preload adjustable. Controller - 36v OSET, adjustable for speed, power and response. All new map for 2015. 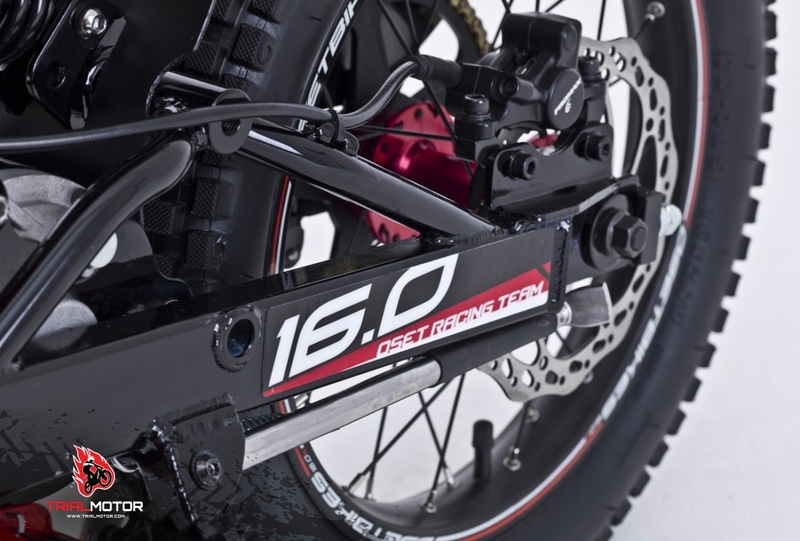 The 16.0 Racing features a powerful 800w OSET motor, air/spring forks, compression and rebound adjustable shock, powerful and 'reach adjustable' hydraulic disc brakes and custom OSET designed Kenda tyres with a different profile for the front and rear. Alloy hubs, handlebars, steering stem, foot-pegs and more ensure that weight is kept to a minimum. High quality bearings are used in the headset, swingarm and wheels. A sturdy steel frame combines with all other components to make a bike that will be good for years of use. It is no coincidence that used OSETs retain an exceptionally high resale value. These machines are built to last. For 2017, improvements include new thinner OSET grips, a padded chin guard covering the steering stem and several detail improvements. An all new magnetic lanyard cut-out switch takes the place of the handlebar switch. A strap goes around the child’s wrist, so that when the lanyard is pulled, power is switched off. A separate key switch is easily removable by the parent when it's time to take a break! Naturally, safety features are paramount The OSET controller has been designed for our exclusive '3 dial' system, which allows parents to easily adjust the characteristics of the bike. By simply removing the rubber bung in the 'tank' area, the responsible adult can adjust the speed, power and response of the bike. It can be set from a very mellow machine at walking pace and low power, all the way up to a competition level machine with maximum power. For those learning to ride, the throttle response can be set so the reaction of the bike to throttle openings is softened. 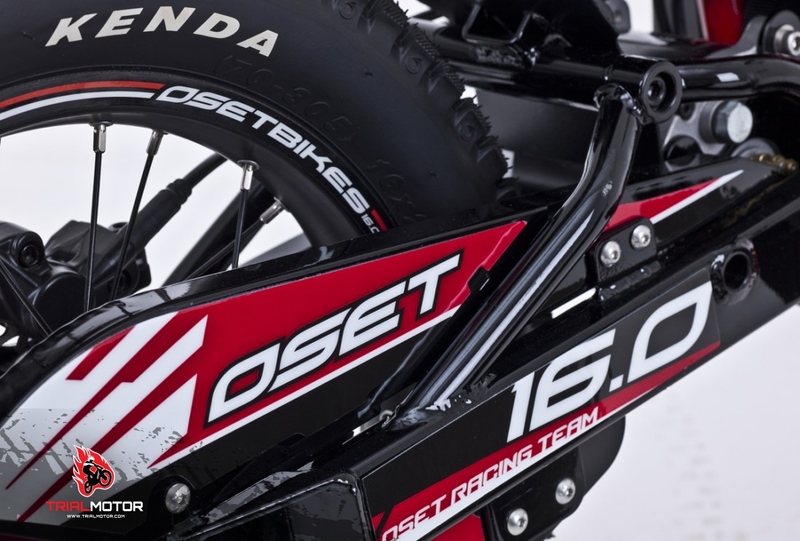 The OSET 16.0 Racing is a dream machine for 5-7 year olds. 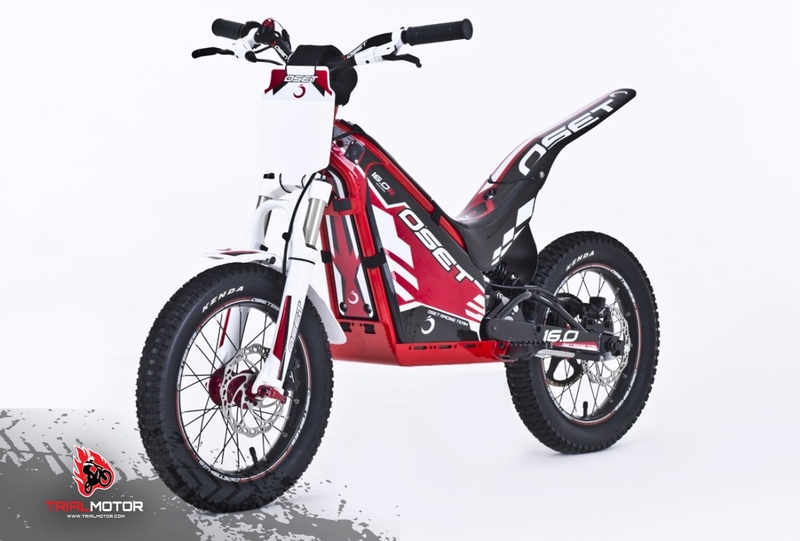 From the tires to the handlebars the bike is covered in custom parts designed by OSET specifically to suit young riders. This bike helps riders to develop skills very early and gives them a head start before stepping up to bigger machines.